Crested Butte Mountain Resort (CBMR) announced last week that two established programs from previous seasons will remain, namely the Choice Pass for youth and the Donation Day prior to its regular opening day. CBMR will hold its third annual Donation Day on Wednesday, November 21. Donation Day lift tickets will be $15 per person, with proceeds to benefit the Crested Butte Snowsports Foundation (CBSF). CBMR and Epic passes will not be honored on Donation Day, and the resort will officially open for the winter season on Thanksgiving Day, Thursday, November 22. Regular passes will be valid beginning November 22. In 2017, CBSF received $12,315 from Donation Day. The foundation focuses on creating opportunities for local families to enjoy snowsports programs through financial support and program sponsorships. This includes need-based scholarships for program fees and/or equipment for student snowsport athletes in Crested Butte or Gunnison. It also includes grant funding and partnerships with snow sport programs and events. 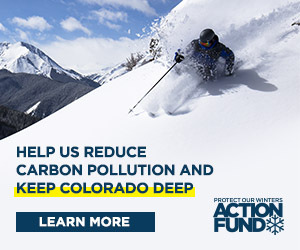 CBSF partners include Crested Butte Nordic, The Gunnison Nordic Team, CB Mountain Sports Team, the Crested Butte Community School, Gunnison Elementary School, and Western State Colorado University. CBMR chose the foundation this year and last because, “The program benefits local youth in their pursuit of both recreational and competitive snowsports opportunities which aligns well with our community values and also the desire to grow participation in skiing and snowboarding,” wrote CBMR senior marketing manager Erica Rasmussen by e-mail. “This is a significant fundraiser for CBSF, we’re so happy that Vail will continue this event for us,” said Alexandra Hudson, executive director of CBSF, by e-mail. The Choice Pass program is also confirmed for this winter, offering a drastically reduced season pass price to CBMR of $129 for students in grades six through 12 who make a pledge to stay drug and alcohol free throughout the school year. The program has been in operation since 2011 and includes collaboration between the Gunnison County Substance Abuse Prevention Program (GCSAPP), the Community Foundation of the Gunnison Valley, and more than 30 local businesses and organizations which offer discounts or perks to participants. According to GCSAPP, the program began with 50 participants its pilot year, which was offered for ninth graders. As it expanded in 2012 to include grades six through 12, the number of participants grew to 300, and in 2017 there were 645 participants. “This is one of our largest community youth programs that really celebrates youth and the choices that they make,” said GCSAPP project director Kari Commerford. “Both Donation Day and the Choice Pass program are exciting examples of CBMR’s dedication to our community and we are thrilled to continue with them once again this winter,” said Rasmussen. She confirmed that both of the programs will also be honored by Vail Resorts should the sale of CBMR go through to completion.